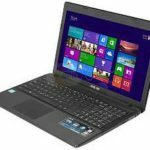 ASUS X551MAV-EB01-B is a 15.6-inch laptop outfitted with an Intel Dual-Core Celeron N2830 2.16 GHz processor, 4GB DDR3 RAM, 500GB 5400RPM Hard Drive, 15.6″ diagonal HD Display, and UMA Intel HD Graphics. Oh yeah, it has become a bestselling laptop at Amazon, more and more people are choosing it, so I think it's right time to share it with you guys today. This ASUS X551MA laptop also comes with 1.0MP Webcam, Full-size Chiclet keyboard, SMDVDRW, Wireless 802.11n, 1x USB 3.0, 1x USB 2.0, 1x HDMI. 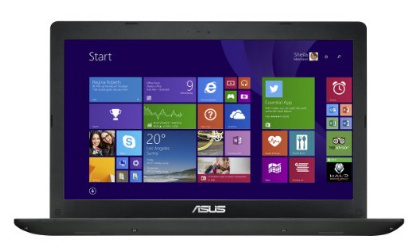 The laptop is preinstalled with Windows 8.1 64-bit operating system, you can upgrade to Windows 10 for free if you want. 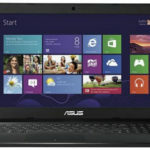 The notebook is absolutely perfect and fast enough for light (student) use however in the question and answer section someone from ASUS was posting a misleading information about this particular laptop, this machine doesn't have CD/DVD player but the representative from ASUS was telling people it comes with one. 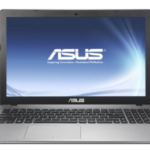 That is ASUS fault not the sellers since they didn't post it as if it's equipped with one. 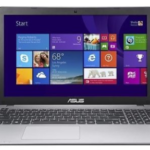 Well, what do you think about the ASUS X551MAV-EB01-B 15.6-Inch Laptop?